I am very pleased and very excited to announce to you a brand spankin' new Christmas link up! 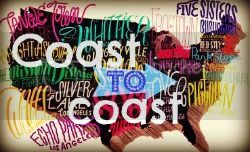 Claudia from Lashes and Beard invited me to be a part of this link up and I am so happy to do it! I love spreading the message and spirit of Christmas. The other day, I saw a post on Facebook from a popular blogger... and to be honest, my heart sank a little when I read it. She asked her readers if she should use "Christmas" or "Holidays" in the title of a series she's writing, because she thought it might be weird/offensive to say "Christmas." Seeing this made me do some heart-checking of my own. 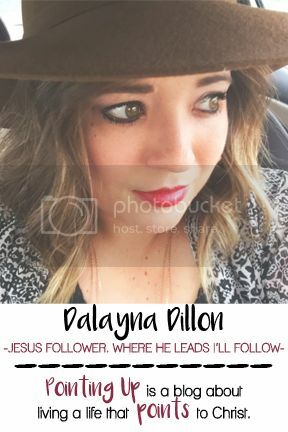 I realized that the "fear of man" is rampant in the blogging world, and so often we can be tempted to sacrifice voicing our Christian faith out of fear that we will lose readers, decrease our traffic, or that we'll receive hurtful and negative comments. After reading Isaiah 51:7, and having a particularly difficult time finding Christmas cards that actually say "Christmas" on them... anywhere... I felt emboldened. I want to share my faith this Christmas season with one simple act: saying "Christmas" instead of the vague alternatives, like "Happy Holidays" or "Season's Greetings." I want to shine some light. And I'd like to invite you all to join in - every week through December! 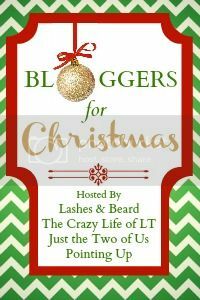 "Bloggers for Christmas" is a weekly link-up for y'all to share anything Christmas-related. Whether it's a new Christmas dish you're preparing, a favorite Christmas memory, or a deep look at Christ's love for us during this time celebrating his birth - whatever it is - share it! We just ask that you join us in upholding the "reason for the season" by being a Blogger for Christmas. 1. Follow your Hosts via GFC. Thanks for linking up with us, and be sure to come back next week! Bloggers for Christmas link-ups will be held every Friday through December. Hi I am following you from the Hop and really enjoyed reading your posts. I would love for you to follow along. Hi there, new follower. First time visitor. Can't wait to see you each week! Drop by if you get the chance!